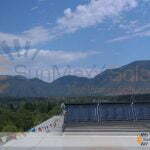 Binghamton, NY USA (December 29, 2011) – SunMaxx Solar, a leading, vertically integrated manufacturer of solar thermal systems and components, is pleased to announce a solar thermal installation at Northern Arizona University earlier this year. The project, which was designed and installed by Cannon Design and Mortenson Construction, encompasses over 5,300 square feet of SunMaxx ThermoPower VHP-30 evacuated tube collectors. 102 individual collectors provide a domestic hot water system for the University’s new Health and Learning Center. This center, formally the NAU Recreation Center, was remodeled in 2011, creating the NAU Health and Learning Center. The newly remodeled facility includes an indoor jogging track, 38 foot climbing wall, larger weight room, multi-purpose gym and cardio theatre. It also includes all on-campus medical services that were previously housed at another location on campus. 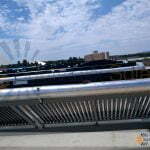 The new solar thermal system was installed and commissioned during the Summer of 2011. 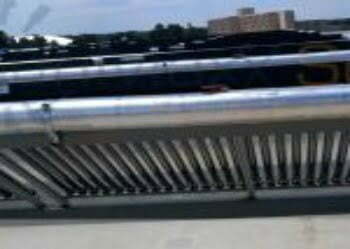 “IMCOR – Interstate Mechanical Corp. maintained the highest quality standards during their installation,” states Grant Talcik, SunMaxx Solar Engineer. NAU is located in Flagstaff, Arizona and its campus rests on approximately 740 acres. The solar thermal system was installed to reduce the energy footprint of the building, and in turn, the University is seeking LEED Gold certification (Leadership in Energy and Environmental Design – an Internationally recognized green building certification system). 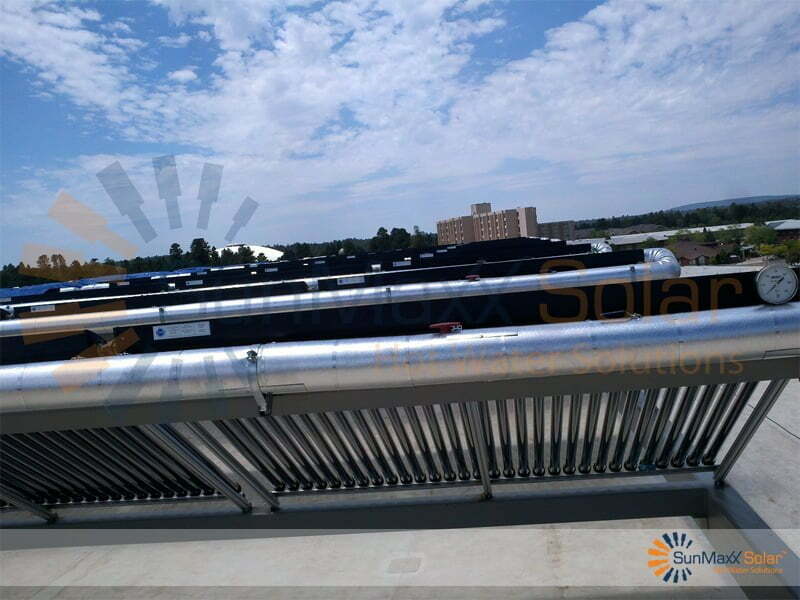 SunMaxx Solar will continue to work across the country on a variety of large scale and small scale commercial solar thermal systems. 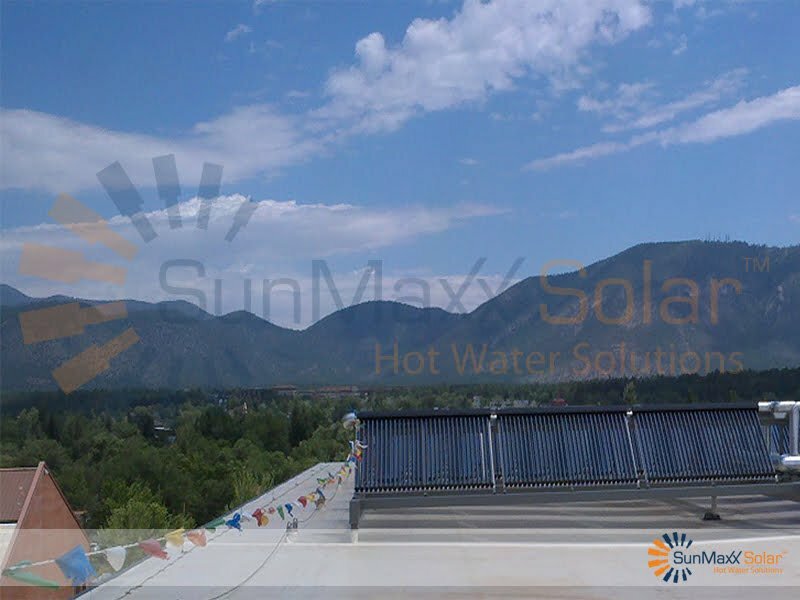 In addition to completing solar thermal systems for Universities, SunMaxx also provides mobile training labels, training curriculum and equipment donations for Universities and schools around the country. “One of the most impressive evacuated tube installations in the country!”, says SunMaxx’s CEO, Adam Farrell.